What is a proof test? In its simplest form, load testing involves applying a load to a structure or piece of equipment. A proof test is a type of load test that demonstrates the fitness of a load-bearing structure. Such tests may be required as part of a thorough examination in line with Lifting Operations and Lifting Equipment Regulations 1998 (LOLER) that place duties on people and companies who own, operate or have control over lifting equipment. LOLER places emphasis on the experience of a competent person, who makes an informed decision as to what is appropriate based on their training. 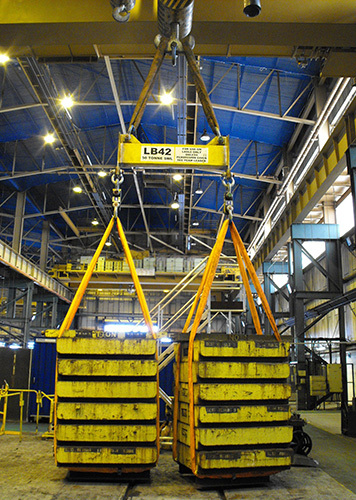 They determine if a proof test is necessary or helpful to assess a piece of lifting equipment. A proof test is usually expressed as a percentage of the working load limit (WLL) that equipment is designed to withstand. The exact requirements of proof testing and the extent of each test can vary depending on standards, equipment or industries involved, as well as individual requirements from customers or as part of manufacturers’ own quality controls. Lifting equipment manufacturers may carry out proof tests routinely or as a batch test in line with their own QA/QC procedures, but for goods for sale in the EU a minimum requirements is that of the Machinery Directive. The Machinery Directive 2006/42/EC section 4.1.2.3 addresses the static and dynamic tests that must be performed on all lifting machinery ready to be put into service. These tests help satisfy the ‘fitness for purpose’ requirement of lifting machinery or lifting accessories discussed in section 4.1.3. • BS EN 14439: references proof of strength and stability of cranes, including out of service stability to account for wind loading. • EN12079 and DNV2.7-1 standards set minimum criteria for design, material, production and testing of containers used in offshore applications, with specific guidance on proof testing. • Maritime industries - Proof load testing is required for almost all lifting appliances and loose lifting gear in order to obtain Lloyds register certification. Other verification bodies such as Det Norske Veritas (DNV) and Bureau Veritas have similar requirements for lifting gear. • ASME B30.26: for various lifting accessories: shackles, eyebolts, turnbuckles, links, rings, swivels and compression hardware. • OSHA Section 1926.251(a)(4) covers special custom design lifting accessories that shall be proof-tested prior to use to 125% of WLL. • ANSI N14.6: application specific for special lifting devices for shipping containers for nuclear materials weighing >4500kg. Again, in mission critical industries, additional tests may be required. 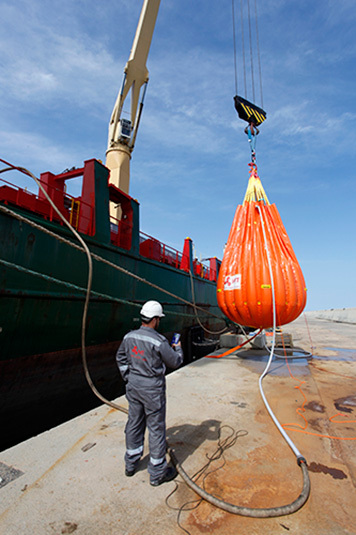 NASA for example specifies the occasions and frequency of proof load tests and periodic load tests to be performed on lifting devices and equipment (LDE’s) in its NASA-STD-8719.9 technical standard on lifting. Numerous load-testing applications worldwide require a load cell to verify the load applied, from crane testing using water bags and a tension load link to cylinder testing using a hydraulic test rig and a compression load cell. A load cell allows the test to be accurately measured and recorded. In safety critical industries the requirement to document test procedures and results has never been greater as users of lifting equipment call for more traceability and audit trails. Straightpoint manufactures a variety of equipment that can be used for proof testing. 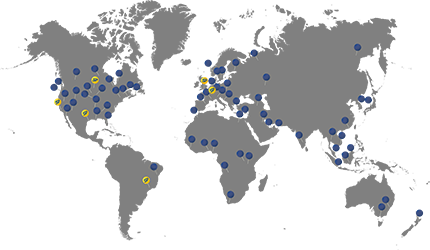 As referenced at the outset, its Proof Test plus (or SW-PTP) software records data gathered by a Radiolink plus load cell, load shackle or compression load cell. It then creates a pass or fail certificate that includes test data and graphs charting data from the load versus time throughout a test. Information can be printed out directly as a PDF report, electronically transmitted or fed to an information centre in the cloud. It is important that there is traceability of proof test certification and that the load cell that did the test was accurate and calibrated. Where a load test is deemed beneficial the aim of Proof Test plus is to make that process more efficient.